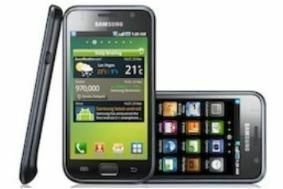 Samsung claims 5 million sales for Galaxy S smartphone | What Hi-Fi? The company is hoping to sell another five million Galaxy S handsets in the current quarter and aims to hit a total smartphone sales figure of 25 million for 2010. The Android-powered mobile still has some way to go if it wants to match Apple's ubiquitous iPhone. The iPhone 4, which also launched in June but was limited to certain carriers, has sold 8.4 million handsets.